The little budgie bird is one of the most popular pets in the world. They are ranking just behind dogs and cats, and it’s no wonder. This affectionate, cute bird is small and inexpensive, and if trained properly a budgie can mimic human speech. 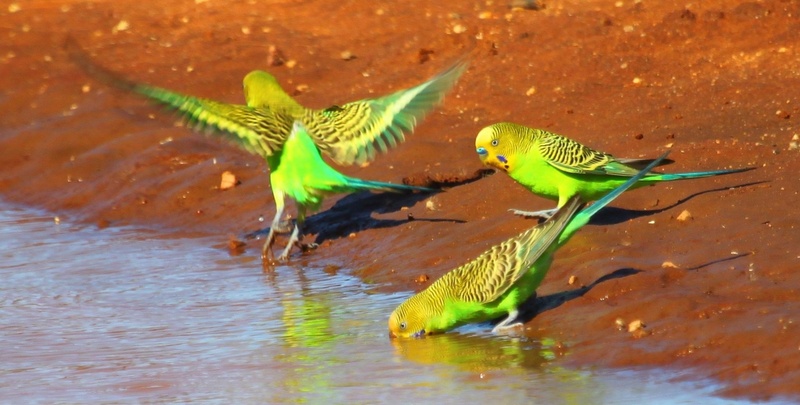 The origin of its formal name ‘Budgerigar’ is a mystery. But by any name, this little bird is a charming companion for most pet owners. They’re not the smallest parrots that distinction belongs to the parrotlet but budgies are quite tiny. Most budgies in captivity average between 7 or 8 inches from the beak to the tip of the tail. 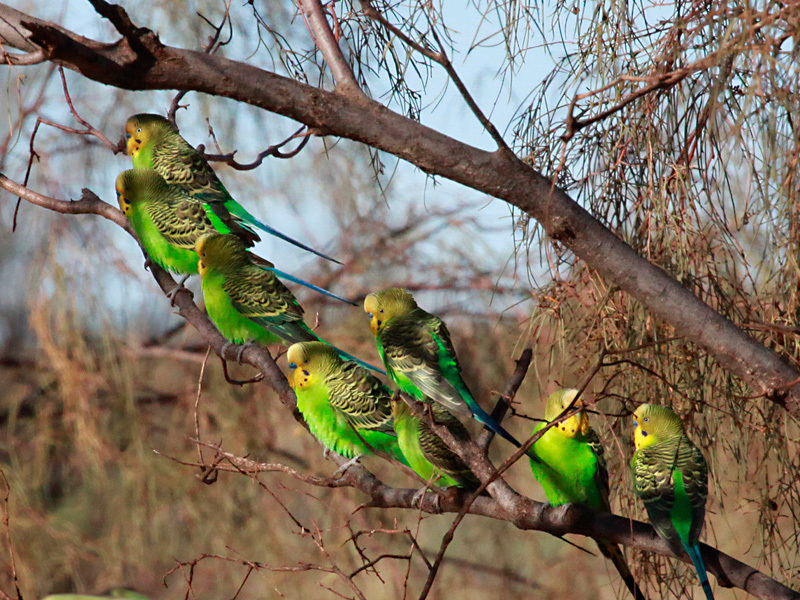 Wild budgies in their native habitat of Australia are even smaller. There’s no way to guarantee that your budgie, or any other parrot, will learn to “speak.” However, budgies certainly have a knack for it. 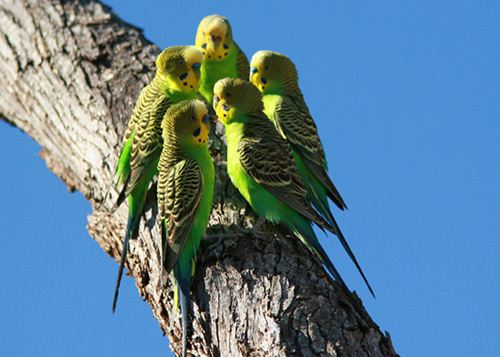 Many many times they speak with greater clarity and broader vocabularies than larger parrot species such as Macaws and Cockatoos. While their voices are small and gravely-sounding, budgies have an impressive ability to pick up on human words and phrases. They can and often even using them in proper context sometimes. They are a great choice for those new to bird ownership who want to own a talking parrot. Since they’re small, budgies are relatively inexpensive to care for and feed. But contrary to popular belief, a diet consisting only of seeds is not good for a small bird like a budgie. This will most likely result in problems and can even cause health problems. Instead, veterinarians recommend a budgie diet that includes pellets and fresh fruits and vegetables including leafy greens. It’s OK to feed budgies seeds as part of this diet, as long as they’re getting enough nutrients from other foods.